"Normally, a customer will try to find a flaw with whatever vehicle it is that they are driving. So, what was it that you found?” asked James McVicker, Head of Sales at Barlo Motors. Truth is, we couldn't find a thing. 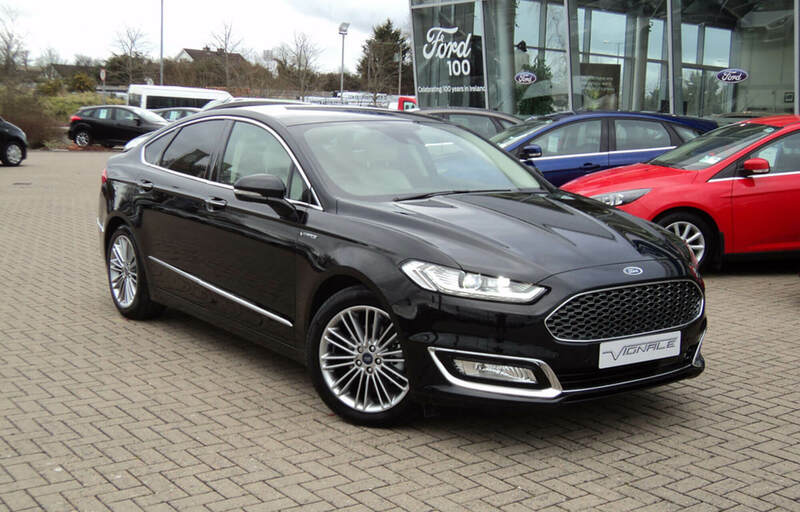 Returning the smashing Ford Mondeo HEV – the hybrid Vignale - had the potential to cause post-traumatic stress disorder, such was the fondness which had developed for this eye-catching machine. But, it wasn't just the looks – many a car can have those tempting qualities with the alluring charms and the smokey eyes. No, this is different – the Vignale has real class, inside and out, under the bonnet and in the boot where the battery is stored. 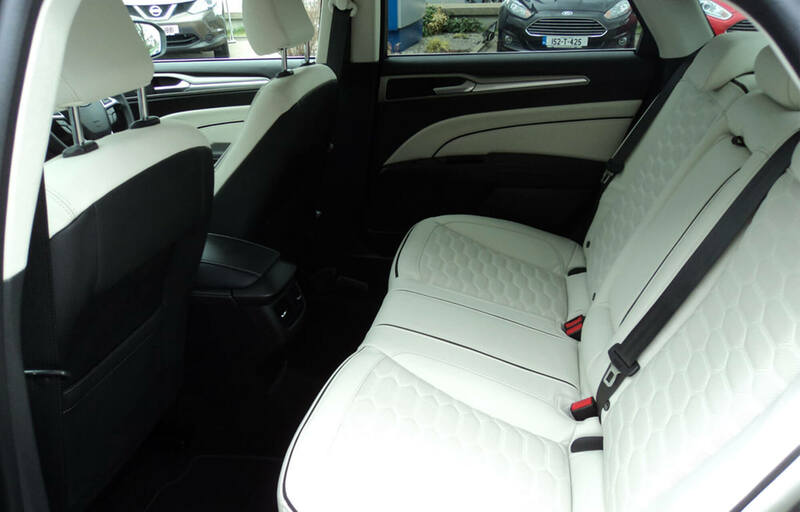 For €42,000 you are getting an executive machine which is kind to the environment, economical, beautiful to drive and jam- packed with extras normally associated with much more highly valued brands. 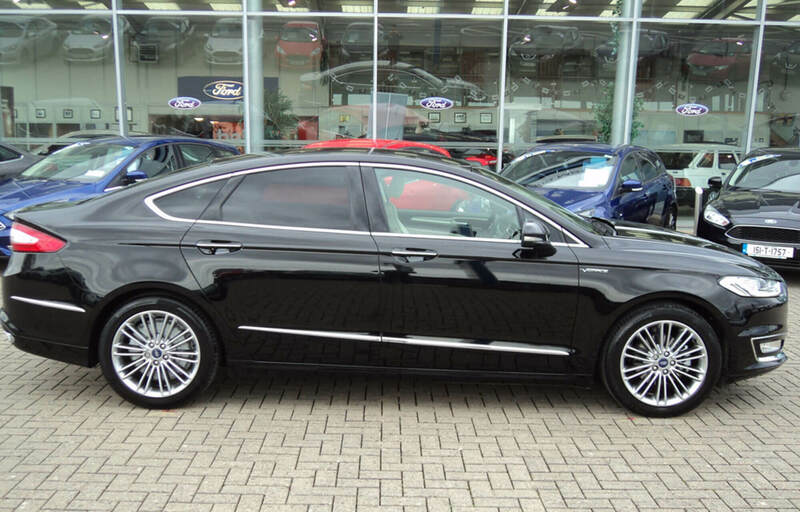 Truth is, the Ford Mondeo Vignale wipes their eyes big time. Mention Hybrid and wait for the groans of the petrol heads who want power and pulse from the cars. Yes, their will to live has been tested, but put one of them into this machine and they won't be long about changing their tune. The battery/2 litre petrol engine powered monster is as smooth as anything on the road and better than the vast majority, while its pick-up is second to none - switch the automatic transmission to L (a turbo boost mode) and just pray there are no speed cameras lurking amongst the ditches. While official figures may quote different returns, our estimate is about 50mpg – how bad it that for a car of this size and class. I cannot recall a vehicle which had better road holding than this one – absolutely superb on country roads and on the motorway. Cruising along en-route to the Capital, this beast left all inside in awe at its comfort, space, sleekness and power. The all-leather interior was cool and comfortable while the excellent sound system made for an ambient spin for all. And, the sheer solidity of the car resting on the those gigantic 19inch alloy wheels certainly gave the impression of travelling in a Mercedes, a BMW or an Audi. But, your wallet won't be as empty if you invest in one of these. In fact, you could save yourself €15,000+ and still be driving in comfort and class. The switch from battery to engine is seamless – take you foot off the gas and you automatically charge the battery. Need more power? The engine does the job. So, the more you brake and decelerate, the more you charge the battery. 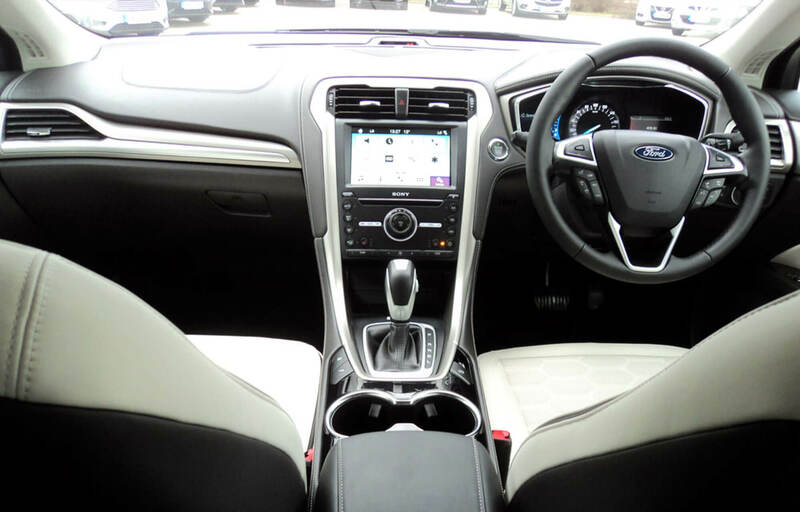 In fact, James claims that this car will make you a better driver, because you are constantly watching for the chance to charge the battery coming close to junctions, on declines etc. It certainly leaves you thinking more, no doubt about that. If this is the future and the way we will all be driving in years to come, bring it on. 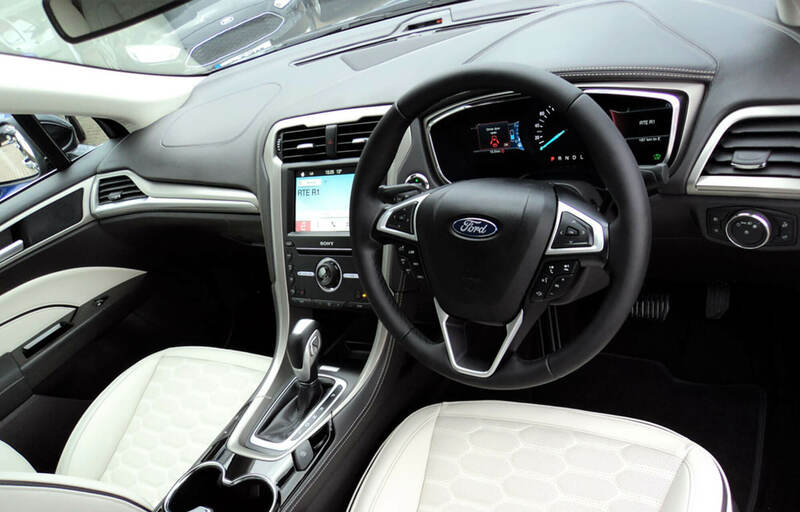 Ford are following Toyota with the hybrid concept and with the Japanese car maker waiting to introduce the new Camry for the 2019 market, Ford are in ahead of the posse with the Mondeo Vignale. No doubt, the other vehicles in the fleet will follow suit too in due course. One thing is for sure – many will copy, but few will equal this ten out of ten car. “Go on, there has to be something that annoyed you,” cajoled James. Well, OK there was one thing alright – the fact that Barlo Motors wanted the car back. Do yourself a favour – even if you never intend buying this car, take it for a spin and prepare to be romanced. You will change your mind about hybrid, and maybe even about never buying one.